WHAT WE DO We have a number of groups that meet for Bible studies on a weekly basis. These include our “flagship” weekly on-campus luncheon on Mondays, men’s study, women’s studies, on-campus bible study for residents & interns, and a off-campus bible study that is open to anyone. Our groups are a place for you to cultivate a relationship with God and friendships with others. It is within these groups that men and women can build personal relationships and practice applying the gospel to their lives. Each group expects to experience Jesus Christ in its midst, enabling participants to be transformed through mutual ministry and to experience life in the family of God. Some of our groups may work through a book of the Bible, study topical doctrines, or use a Christian book to foster discussion. We invite you to join us as we study God’s word. Every Wednesday morning at 8am. We meet in the basement of the Bryan Williams Student Center gymnasium. Come start your week with SCF! In God’s Word! Lunch Break Fellowships are informal gatherings where people are able to come and go as needed to fit it in their class/work schedule. 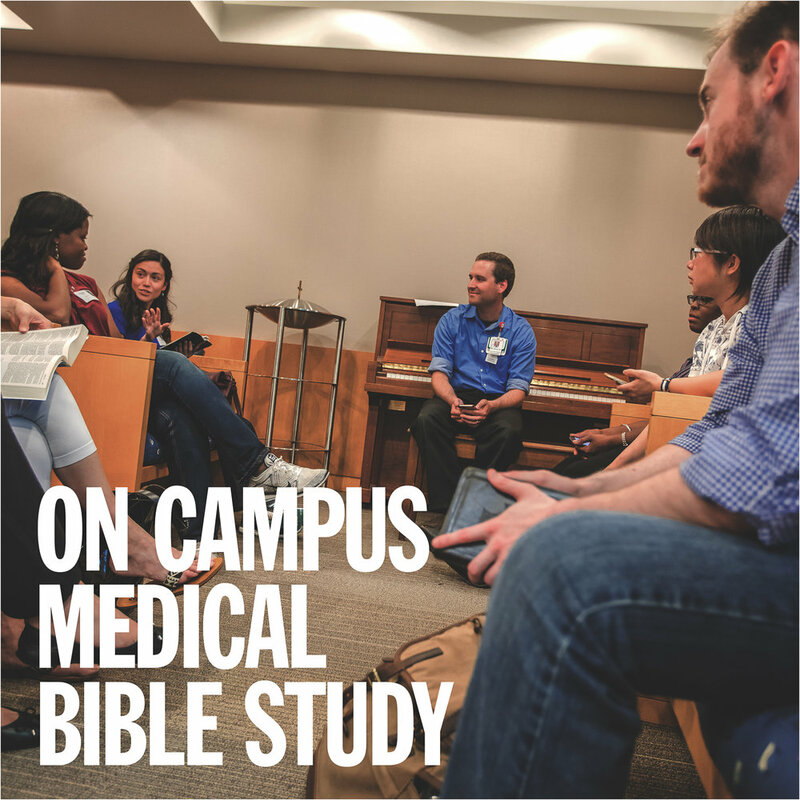 The goal is to provide an opportunity for people who go to school and work at UT Southwestern to come for a time of encouragement and fellowship and to bring their friends and co-workers along to connect with The Body of Christ. A time of challenge & learning for MEN to walk in faith. Join us as we read the bible together and grow in our spiritual journey on a daily basis. It is also a great time of accountability as we face the difficulties of this culture and world together.